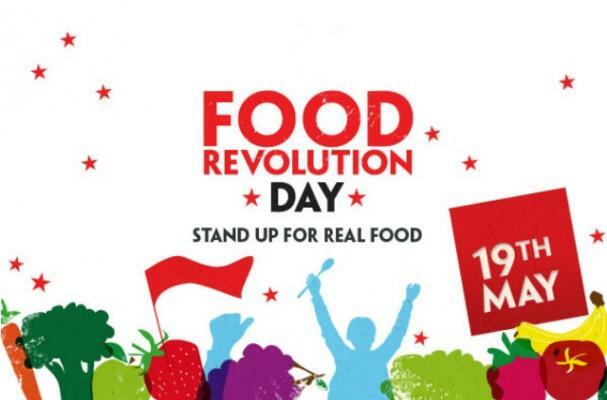 Jamie Oliver launched today, May 19th 2012, an International Food Revolution Day with events all around the world! I love it. I love his mission and I’m 100% on board. You must check out the site and sign up for the newsletter here if you’re a fan! 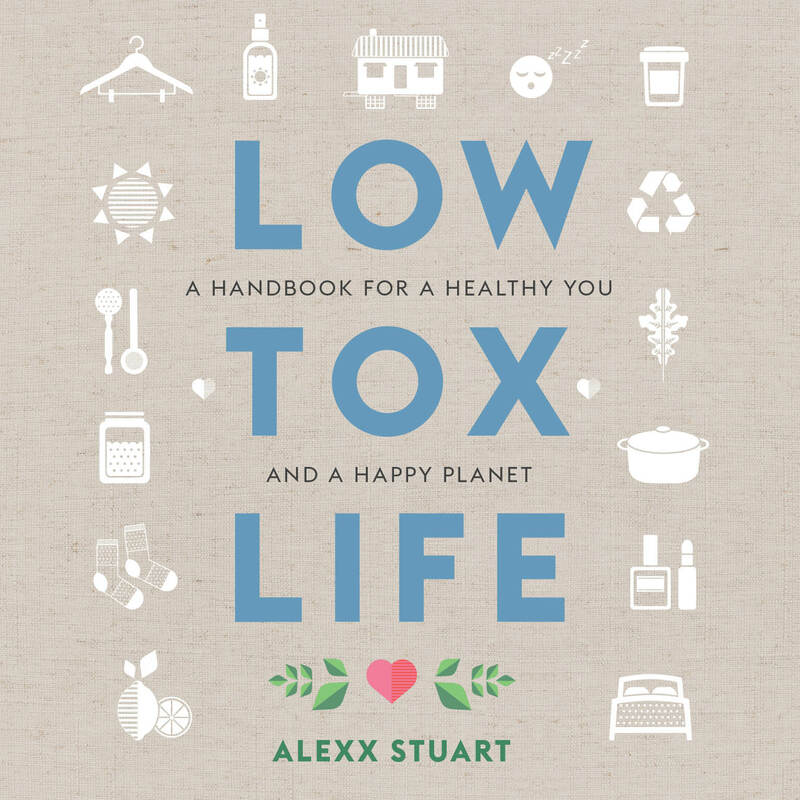 There is a crazy eruption of diet related disease in the past 3 decades and it’s something that’s going to require a global effort to effect change. 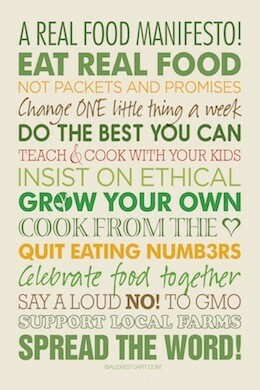 The best bit is, it’s actually not that hard: We just have to eat real food and educate our kids to do the same. “Food brand” is too much the focus and has been since advertising was born. “Have you tried this new brand and that new flavour?” We treat food as a product; as something to be ‘cool’ or ‘the latest’. I arrived one morning recently to the zoo with my little man. A school group were sitting down eating their ‘little lunch’ snacks, and my heart sank: Tiny teddies, Le snack, Milo something or others, chips, rice wheels, roll ups, fruit juice poppers. I have a mental and physical reaction when I see foods like these being eaten by little kids. So many hidden sugars, genetically modified ingredients, chemicals, ‘fake healthy claims’. It’s not a snobbery thing for me, it’s a deep sadness and a totally involuntary reaction. Looking around there wasn’t a single child with real food. All of it was processed, packet food. I was devastated. How has this happened? I want to stop being told ‘wow, he’s a good little person, eating a carrot whole, just like that!’ I get told that all the time. Why is the carrot so damn weird? How is it that we’ve come to a time where the carrot is the snack that breeds comment and a flat plasticky sheet of ‘made with real fruit’ roll up, is normal? We have food companies pumping out cocktails of ingredients that our bodies don’t recognise, right before our very eyes, and calling them natural or healthy! They’re not going to stop marketing, so the only solution is to grow our awareness, vote with our dollars and stop buying! Read the ingredients on labels. If you don’t recognise an ingredient, chances are your body won’t either. Go to a grower’s market with friends or family, choose produce (and make sure your kids are involved) and head home and make a project of preparing a recipe and cook together. Choose a couple of bikkie or fruit bread treats to bake for the week – by keeping treats in the mix, no one feels deprived, but by baking them at home together you spend time with your family and you avoid all the extra nasties in the packet stuff! You can substitute white flour / sugar for whole, spelt or gluten free flour and raw / rapidura sugar for an extra shiny halo too! 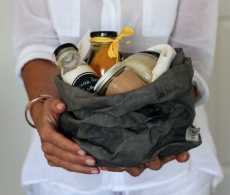 Everything we choose for our baskets is our choice to make. Great post, and I couldn’t agree more. It breaks my heart to see children eating white bread Vegemite sandwiches and drinking coke as part of their everyday diets. Keep fighting the good fight, hopefully one day soon it’ll all be turned around again and these processed non – foods will be seen for what they really are – fake, empty and unnecessary. I agree with everything you said. My sister constantly gives her kids crap, tiny teddies, biscuits etc she will take some healthy things but as soon as the kids see the tiny teddies that is what they want and she always gives in, hence the healthy options just get carted back home unbeaten. My suggestion is DON’T BUY THE CRAP, it falls in deaf ears though. Love that I have discovered your blog. Thx Helen. Fab to e-meet you 🙂 I shall absolutely check out your post now!